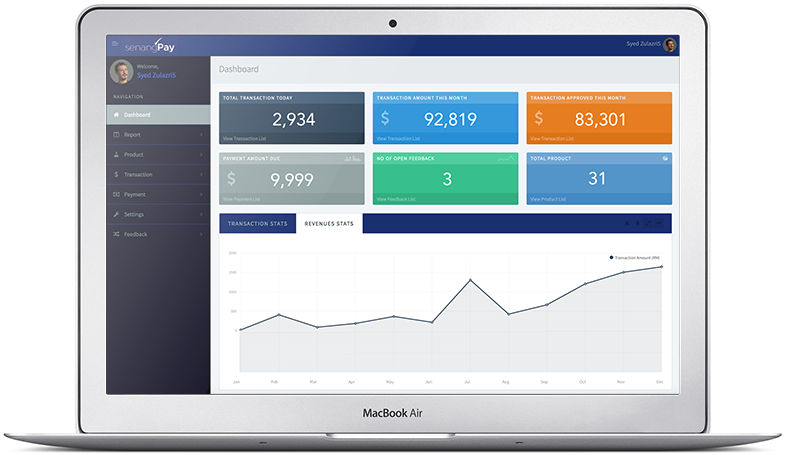 senangPay Dashboard is designed to help you manage your sales transaction daily, either from your office or when you are on the go. The Dashboard covers from analytics, reports, products, payments, charges, profiles and even in-app feedback which will let you communicate with our senangPay feedback & support team. Our main intention is not just to offer an Online Payment Gateway that you subscribe to, but a solution that covers your online sales activity so you can focus on getting more sales, instead of focusing on the technical part. We offer you beyond payment gateway. 1. It’s responsive. You can access the Dashboard, either from your desktop, mobile or tablet. 2. It will list all your sales transactions in real time. Which means, you will know when you get an order. 3. It will tell you how many sales transactions you have yesterday, and it is updated daily by 8 a.m.
4. It will display your sales analysis. Which means if your are an analytic freak, this one will get your attention. 5. Manage all your products in one site. 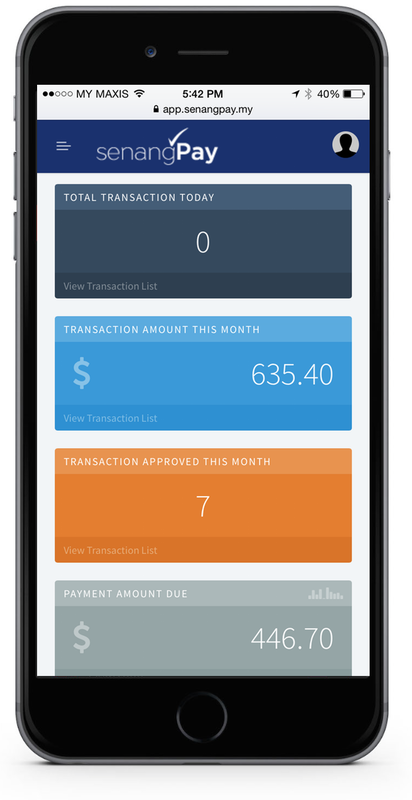 Not only monitor your product sales, but monitor your payment form hits. 6. Graph? Report? Of course. You can download your sales report anytime, anywhere. 7. It will send a transaction receipt to your buyer, on behalf or you. 8. GST calculation provided, thus, your buyer don’t need a calculator to know the GST charges. 9. In-app support. You can communicate with senangPay team if you have any inquiry direct from the Dashboard. 10. The design of the Dashboard is beautiful, better than what is in the market nowadays.